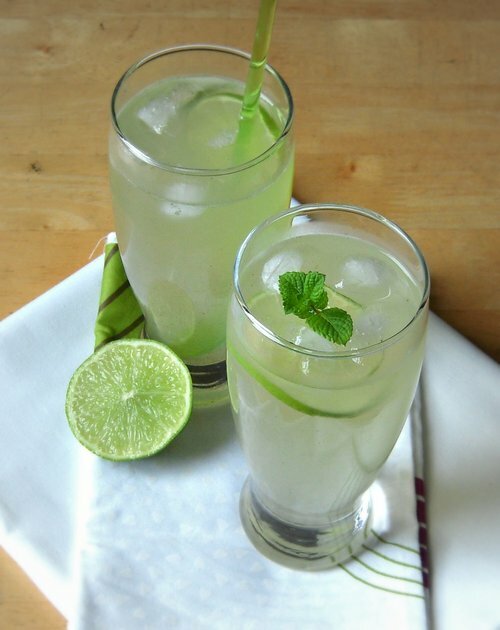 By drinking lime water regularly you can delay the signs of ageing and remains young looking for a longer time. This is because lime water is rich in antioxidants, which fight with the free radicals that harm and damage the skin cells. It also repairs the damages caused by UV rays of the sun or by any other reasons. So, your skin looks young and rejuvenated. Lime water also helps in toning your skin. If you take lime water regularly, it helps in the production of collagen in your body, which makes your skin firm and soft as well as toned. Another great advantage of consuming lime water regularly is that it nourishes your skin and keep it hydrated. So it helps in preventing various problems of the skin like blemishes, wrinkles and fine lines on the skin, rashes, patches, dry skin etc. The detoxifying action of Vitamin C in lime purifies the blood and completely cleanses your internal system. It also makes the process of digestion smooth and efficient, thus helping in the absorption of essential nutrients. All these help in making your skin blemish free, healthy and glowing. Premature graying of the hair is prevented by consuming lime water regularly. It also makes your hair soft and gives shine to your hair. In addition to solids, your body also requires enough fluid. By consuming lime water regularly; your body gets the fluid that is needed. This keeps the scalp hydrated and reduces the formation of dandruff. This in turn reduces hair loss and promotes better growth of hair. Being a rich source of Vitamin C, lime water helps in fighting against the harmful actions of the free radicals that form in the body and controls the level of cholesterol in the body. As a result, no accumulation of cholesterol takes place in the inner walls of blood vessels and this keeps the cardiovascular system healthy. Having lime water regularly is also good for controlling your blood pressure as it has large quantities of potassium in it. If you want to lose weight fast without any side effects or upsetting your general health, lime water is a good option. It has no fat or cholesterol and is very low in calorie. Vitamin C is essential for having a strong immune system and staying away from various diseases. Lime water being rich n this vitamin, keeps your immune system in proper condition and helps in providing you a healthy life. For a healthy respiratory system you need to have a strong and healthy immune system. As you know, lime water is rich in Vitamin C and makes your body immune to various diseases. So, have lime water daily and stay away from cold, flu, cough, sore throat and so on. Drinking fresh lime water regularly is good for dissolving kidney stones. It also prevents the formation of new crystals in the kidney. This is because lime water helps in the increases production of urinary citrate, which is essential for treating kidney stones. When free radicals are formed in the body, they attack the healthy cells in the body and also cause inflammation of the joints, which may be painful at times. Lime water is rich in Vitamin C. So it is beneficial for rejuvenating the cells as well as to for those suffering from pains in the joints due to arthritis and rheumatism. Lime water is also good for treating gout. Gout is formed when uric acid and free radicals accumulate in the body. Lime water helps in removing both these harmful substances from the body. The flavonoids help in removing uric acid and Vitamin C helps in the removal of free radicals from the body. According to researchers conducted by scientists, lime water is good for preventing cancer as well. Some of the compounds like kaempferol and limonins make lemon a good anti-carcinogen. Kaempferol helps in regulating cell division and prevents abnormal cell division and other such problems. Limonin is effective in fighting against carcinogens that cause cancers of lungs, mouth, breast, stomach, colorectal, skin etc. Lime water has great antibiotic and antiseptic properties because of the flavonoids present in it. So, if you want to stay away from infections and keep your body healthy, have a glass of lime water daily in the morning. Lime water is good the proper functioning of the digestive system. If you are suffering from bloating or heartburn, just take a glass of warm lime water. This will help you in treating indigestion and to get rid of abdominal gas. Having a glass of lime water daily helps in flushing out all the toxins from your body and rejuvenates your body. So it is good for leaning and purifying your body from inside. Lime water is a rich source of potassium and this element is beneficial in the removing waste materials form the kidney and keeping it safe from various diseases. So it keeps the urinary bladder toxin free and prevents abnormal growth of prostate glands. It also removes calcium deposited in the urinary tracts. You can also treat a lot of oral problems by consuming lime water regularly. It is good when you have acute pain in the tooth or bleeding gums. Sore throat and bad breath may also be prevented by having lime water regularly. With so many benefits of lime water, you can see that regular consumption of lime water is good for your health as well as to your skin and hair. So, make it a habit to drink lime water daily.